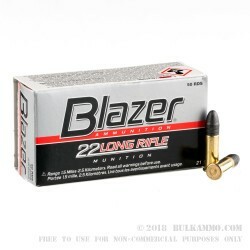 This 22 long rifle ammo by CCI Blazer is packaged in a bulk 5,000 round case with individual 50 round boxes inside. 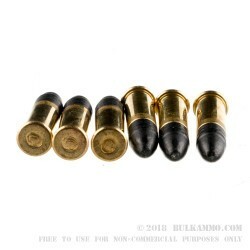 This ammo features a 40 grain lead round nose bullet and is well regarded as quality ammo that is able to cycle and feed in a wide variety of rifles and pistols in its caliber. Whether you're shooting soda cans with your Ruger 10/22 or trying to shoot tight groupings from a bench, this ammo is a great choice at a fairly reasonable price point. 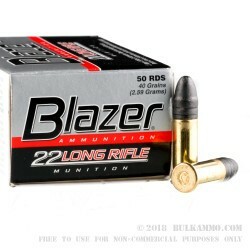 Many shooters love 22 long rifle for the low cost of shooting and given its light recoil its a great caliber to train the next generation with. This ammo is loaded in Lewiston, Idaho right next to the famed Snake river. This ammo is brass cased and non-magnetic. The ammo has performed just what I expected. Kills cans with gusto!!! A: That is correct. This item has a muzzle velocity of 1235 fps and muzzle energy of 135 ft/lbs. 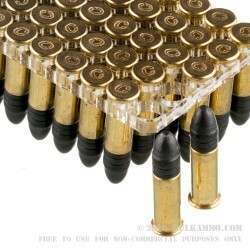 Q: Are these 1235 fps rounds?